Although Capcom’s 1987 classic “Mega Man” introduced the world to the titular Blue Bomber, it was with the series’ second entry in 1989 that Mega Man became a superstar. Playing it again today, it’s not hard to see why. Mega Man 2 is still an incredible achievement in gaming even today. From the moment you first boot up the game, and the screen scrolls upward to reveal Mega Man (without his helmet!) standing atop a skyscraper, ready to take on the world, you know you’re in for a treat. The overall setup of the game remains similar to the first game: You play as Mega Man, a good-natured robot out to save the world from the evil Dr. Wily and his band of Robot Masters. Players select the order they want to tackle the game’s stages, and at the end of each, Mega Man comes face-to-face with one of the Robot Masters. Each Robot Master grants Mega Man a new power upon defeat and, in an elaborate game of Rock-Paper-Scissors, each Robot Master’s ability is particularly useful against another. Mega Man 2 is a game that excels at virtually everything it sets out to do. It takes the foundation of the first game in the series, and expands and refines it in every regard. 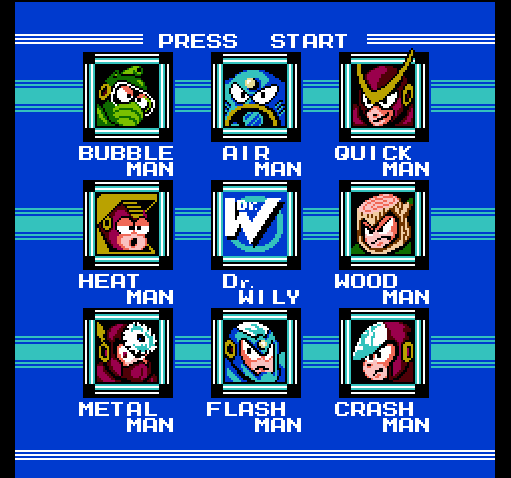 The original game’s six Robot Masters has been upped to eight, which remained the series’ standard from that point onward. It included new items like the rare, energy-refilling E Tanks to the mix. Mega Man gained some non-combat powers that were needed to reach every nook and cranny of the stages. And the Robot Master abilities introduced here were so well thought out that Capcom resorted to recycling most of them in subsequent games (just how many derivatives of Wood Man’s Leaf Shield have we seen over the years?). Simply put, Mega Man 2 became the standard for the long-running series. You won’t find many sequels that so perfectly defined their franchise. Mega Man 2 retains much of the first game’s difficulty, but here it’s better balanced and more accessible. Healing items appear more frequently than they did in its predecessor, and the level design feels more fair. 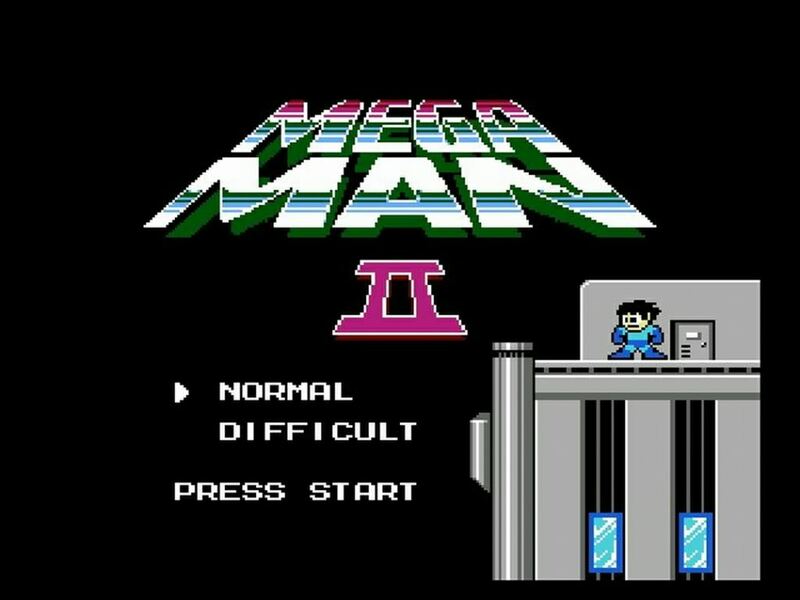 Mega Man 2 even features two difficulty modes, with Normal Mode giving Mega Man twice as much power against Robot Masters, and Hard Mode keeping the bosses at max difficulty. The tweaked difficulty curve ensures that Mega Man 2 remains a very challenging game, but a more welcoming one than its predecessor. Mega Man 2 includes the gameplay of the series in its purest form. 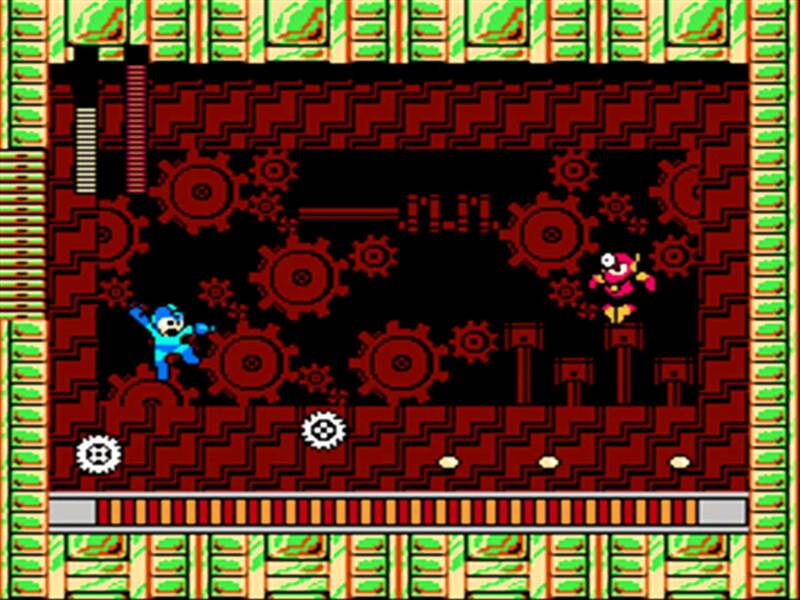 Mega Man wouldn’t get his sliding ability until the next entry, but here his simple mechanics of running, jumping and shooting were utilized to their very best thanks to the clever and varied level design. The Robot Master abilities were also well implemented. As fun as it was that later entries allowed Mega Man to charge his Mega Buster, it also largely overpowered Mega Man, leaving the Robot Master powers feeling downplayed. But here they were used to their fullest. The game remains visually appealing thanks to some colorful graphics and creative character designs, though the game does suffer from some notable slowdowns when too much is going on onscreen. There are also some instances of “NES flickers” on the edges of the screen. But overall the game’s presentation is still impressive. Mega Man 2 also boasts what is arguably the greatest soundtrack in the entire NES library. Mega Man 2’s soundtrack, despite its technical limitations, managed to capture so much character and so much energy that it still goes toe-to-toe with the great scores in gaming. The theme music of Dr. Wily’s Castle is still one of the most iconic pieces of video game music for a reason. Mega Man 2 succeeds in not only improving on its predecessor’s blueprints in virtually every way – from gameplay to level design to music to difficulty, and everything in between – but in being one of the best sidescrollers and NES titles ever made. Video games have come a long way since Mega Man 2 was first released in 1989. But in so many ways, Mega Man 2 is still one of the all-time greats.